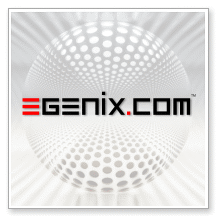 We provide various ways of contacting eGenix.com depending on what area of interest you have. If you want to send us encrypted emails for e.g. code samples or other confidential information, you can do so by using the following PGP/GPG key. Please include your key details when first sending encrypted emails, so that we can write back to you as well. It has the key ID CDE845B1 and fingerprint 9E3F DE74 929A 32B1 C92D 3A3A D0FF 400A CDE8 45B1.